Furniture removal is one of the most stressful parts of relocating, however pre-packing is the most important part of your move, as it can mean the difference between a smooth, quick and trouble free relocation and a long drawn out stressful affair. Most of our customers are happy to pack their homes themselves, however many do not have the time. Our removals packing staff are fully trained and are experts in removals packing – so it makes perfect sense to include pre-packing with our furniture removal services. Our pre packers and un packers are experienced, skilled & trained to a high standard. We will ensure all your items are packed and protected in specialised packing materials. We offer teams of 2 or 3 pre packers depending on the size of your home and what you would like pre-packed. We can deliver and supply all your packing materials at competitive prices. 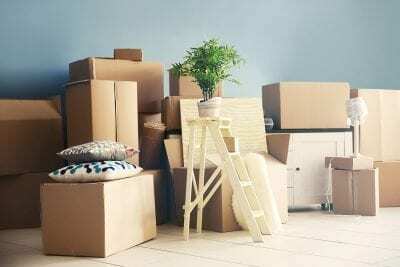 Our professional moving services in Brisbane, has a pre packing team of either 2 or 3 pre packers, that will arrive the day before your move and pack everything in your house, leaving you the essential items to keep you going for the night. This is where you pre pack the easier items such as the children’s toys, clothing, bathrooms, laundry and any non breakable items leaving the packers with the kitchen crockery, crystal-ware, pictures, mirrors, and any other fragile items. Our unpacking team will arrive after the furniture removalist have unloaded either that afternoon or the next morning. The rooms you would like unpacking is entirely up you. We can unpack the kitchen and leave the items on the bench or if you prefer we can put the items in the cupboards. Linen in the linen cupboard clothing in the wardrobes and books of the bookcases. And Brisbane Prepackers boxes and paper will be removed on the day.